Millet forms the base of these crispy, gluten-free cakes that are packed with nutritious veggies. For me, the New Year is all about starting fresh, making healthy choices and trying new things. And that’s exactly what the Recipe Redux challenged us to do for the first month of 2016- pick a new ingredient that we’ve been wanting to try and cook up a new recipe with it. porridge-like consistency similar to polenta. It can be ground into flour and incorporated into breads and other baked dishes. Millet can even be popped like popcorn, and eaten as a snack. ingredient that you’ve never cooked with before. In the meantime, try these delicious millet cakes. These crispy, savory fritters are packed with flavor and nutritious ingredients. Serve them at parties as a lovely appetizer or to your family as part of a nutritious, vegetarian meal. They even make a great finger food for babies and toddlers. Bring the broth to a boil in a small saucepan and add the millet. Cover, reduce to a simmer, and cook until soft, 15-20 minutes. Transfer the cooked millet to a large bowl. Heat 2 teaspoons oil in a nonstick skillet over medium heat. Add the shallot, carrot, garlic and thyme and cook 2-3 minutes until partially softened. Add the spinach and season it with a pinch of salt. Cook until wilted, another 2-3 minutes. Transfer the mixture to the bowl with the cooked millet and let it cool for a few minutes. Add ¼ teaspoon salt, the egg, and egg white and stir to combine. Form the mixture into 12 patties (about 2 tablespoons each), compacting them well so that they hold together. Heat 2 teaspoons oil in the skillet over medium heat. Add half of the patties to the pan and cook until golden brown, about 4-5 minutes. Flip and cook another 4-5 minutes on the second side. Remove from pan. Heat the remaining 2 teaspoons oil and cook the remaining patties. Serve millet cakes with Greek yogurt or your favorite dipping sauce. 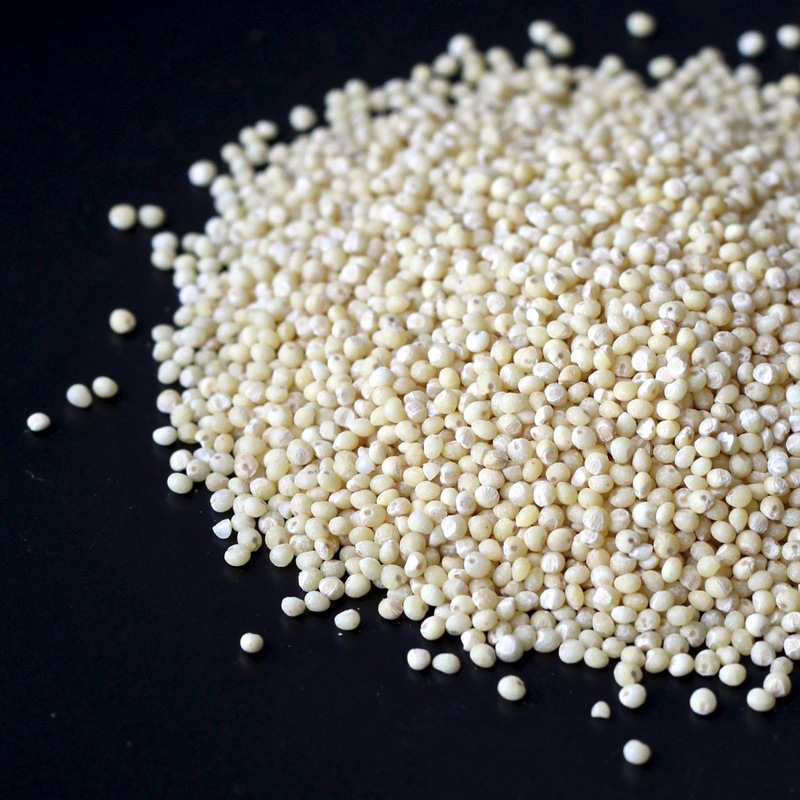 Have you ever cooked millet? If so, what is your favorite way to prepare it? What new ingredients do you want to try out this year? Check out below to see what my fellow Recipe Reduxers are trying out in 2016! What a great recipe! I have been intrigued by millet (among other whole grains) for a while, this is a great way to try it for the the first time. Looks so delicious! I've used millet mixed with other grains but never alone. I have to try your millet cakes real soon! Thanks Cindy, I hope you enjoy them! Thanks Regan, I'm really glad I tried it! 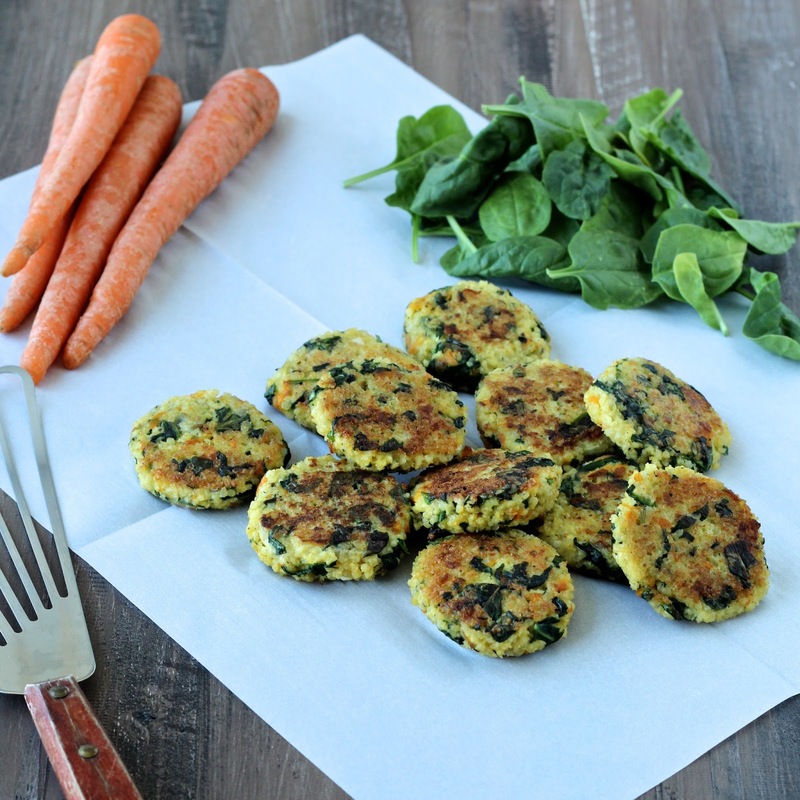 Sonali, I've worked with millet flour but never millet grains – these little veggielicious millet cakes sound delicious – kinda like a healthy pakora of sorts! Totally like a pakora! Thanks so much Shashi, I hope you have a great weekend too! Looking forward to making these. I have used mullet before in a bean cake recipe from author Bryant Terry. Thanks for keeping it fresh and exciting! I've never used cooked millet before- only dry in baked goods for a little added crunch. Your recipe sounds great! Thanks Rebecca. It definitely seems like a popular choice for this challenge! You picked a good one Sonali! I have never had millet before. Your recipe looks great and your post is informative. Want to try this one for sure! These look amazing! I've never cooked with millet before either! Thanks for all the good info! I've only cooked millet a few times, but never as a cake – love this idea! I've tried millet before, but like you, it's not one of the whole grains that I normally gravitate towards. These cakes though…need to run out and get me some millet..NOW! Thanks Selena, I was a big fan of the texture! I adore millet but never seem to eat it enough!! This has inspired me to go out and by some ASAP. Definitely giving these cakes a try!!! Thanks Alanna! I'm definitely now a fan and will be using it a lot in the future! Millet is on my list to try and thud looks like a great wY to use it! I'm sure my girls would love these patties too! Thanks Jessica! Sienna really enjoyed them, and I hope your girls do too! I'll take some crispy, savory fritters please and thank you. 🙂 I want to cook with a more diverse array of grains myself, and millet is on my list. Now I have a wonderful recipe to try! I think these would be great on a salad with hummus. I'll send some right over 🙂 Thanks Caroline and I totally agree, they would be great in a salad! What a great way to use millet! THese sound very tasty! I have yet to try making anything with millet (come to think of it, I'm not sure I've ever even consciously had it? :O! ), but this looks delicious!! I'm gonna need to try it soon! Thanks Farrah! I'm definitely now a fan of millet. I hope you like it too! I know you do 😉 Thanks GiGi! I love millet and cook it regularly at home! I'm definitely now a fan too! Thanks for stopping by!